Let’s talk about coffee processing. You have probably heard of “washed” or “natural” coffees and wondered what that means, and/or how it affects the taste of your coffee. 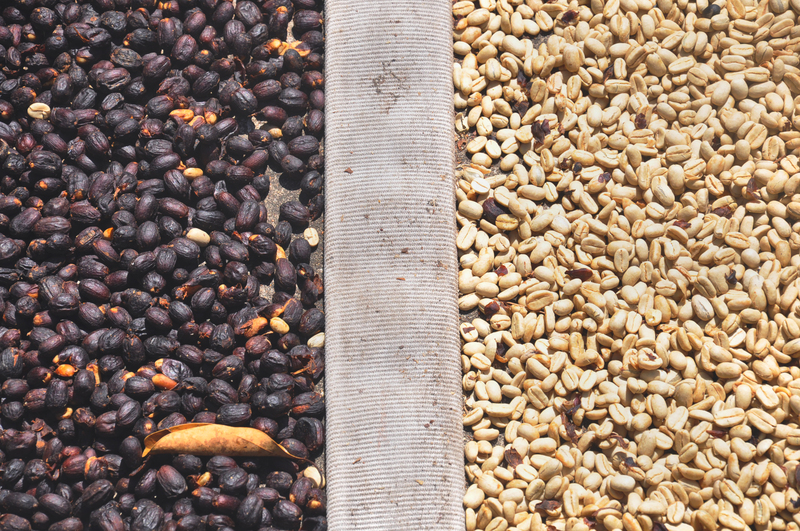 Because there is a huge spectrum of coffee processing methods, we decided to focus on the far ends of the spectrum: Full Washed and Full Natural. A Full Natural drying next to coffee that has been pulped. Short version: Pick the fruit, put it in the sun, and wait for it to dry. The longer version: This is the historic way of processing coffee. Ripe coffee cherries are picked and placed in the sun to dry, either on a concrete platform or a raised bed of wire mesh. The coffee is distributed evenly and rotated regularly to avoid fermentation, because the points where the beans touch create humidity. For this reason, full natural coffees are a bit risky. If given the chance, coffee will rot in a few hours, and even a small area of fermented beans can ruin the taste of the whole harvest. After drying, the fruit is crushed off. The natural process leaves a deliciously fruity taste, a slightly fermented flavor that is reminiscent of fruit preserves. Really excellent natural coffees are commonly described as “jammy,” or as tasting like fresh berries. 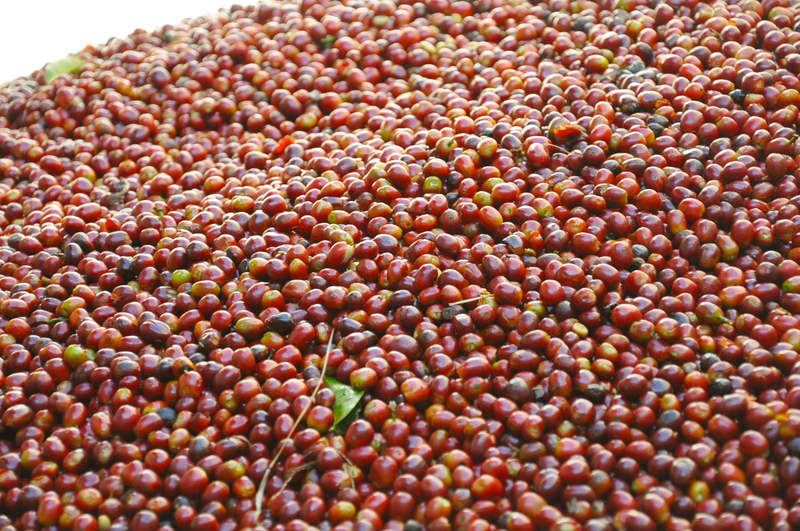 Ripe coffee cherries waiting to be processed. Short version: Rip the skin off the bean, pulp it, let the enzymes eat the mucus off, wash it, dry it. The longer version: This is a quasi-recent method of processing coffee, emerging around the beginning of the 20th century. 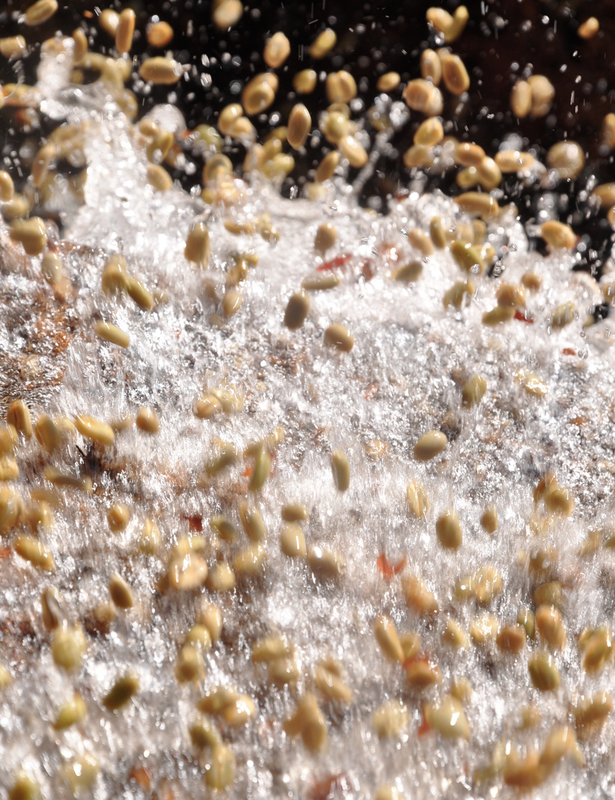 Ripe coffee cherries are sent through a pulping machine, where the skin and fruit of the cherry is knocked off. The seeds still have a layer of mucus around them, so they are put in an enzyme bath. After 9-14 hours, the mucus has been eaten off, and the coffee is washed to clear it of mucus and enzymes before drying. A well-executed full washed coffee tends to have a crisp, clean taste with yellowy, citrusy notes. Check back every Tuesday for articles on coffee processing, brewing tips, and more. Have questions about how coffee is produced or brewed that you want to see answered in a post? Shoot an email to social@lacolombe.net.